New Hampshire, the Granite State, is one of the smallest states of US with comparatively mildly dense populated regions. 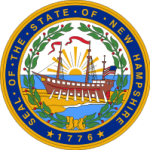 Province of New Hampshire made its way to the US constitution in early 1788 and became 9th to gain statehood under US legislation. $60,441 is the annual median income of the state, which is way almost double to the median income of Mississippi. It ranks 6th in terms of median income though the economy is ranked in lower 20 names of the list. New Hampshire is well appreciated for its contribution in low energy consumption per capita. Unemployment rate has dropped in New Hampshire in past year and tax burden is almost negligible in state. What is the New Hampshire Board of Nursing and general health status of the state? New Hampshire Board of Nursing is the appointed council to provide safety to citizens of New Hampshire against any unauthorized, illegal and unqualified nursing practice. The Board is responsible for enforcement of the nurse practice act and corresponding nursing laws in the state. The Board follows the administrative laws and promotes the nursing programs in the state. The Board is vested by the higher officials and is authorized to amend and adopt changes in any nursing regulations that are necessary to improve the standards of practice. The licensing and certification of the applicants and licensees is also under list of Board’s responsibilities. The Board meetings are held are regular intervals to discuss various nursing matters and any related issues. The Board meeting is open to any one, who is capable of understanding the board objectives and mission. The Board of Nursing has the authority to approve and deny the licensure of any nursing program in state. What does the Board provide for the residents of New Hampshire State? The Board is meant only for the safety of the people. All the actions or decisions taken by board are directly, or indirectly are to provide safe and efficient nursing services. The Board members are also appointed from various regions and are handpicked by the governor. This is done only to wider scope of the board to each and every county of New Hampshire. There are 11 board members. Working tenure is 3 years. Can be appointed for consecutive 3 sessions i.e. for a course of 9 years.